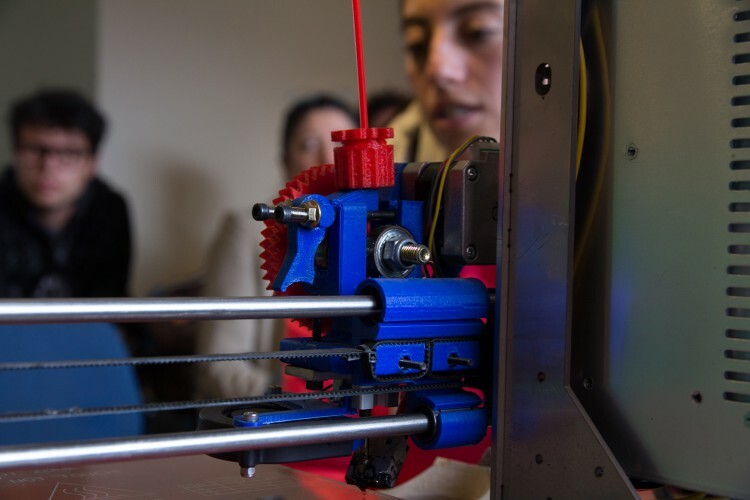 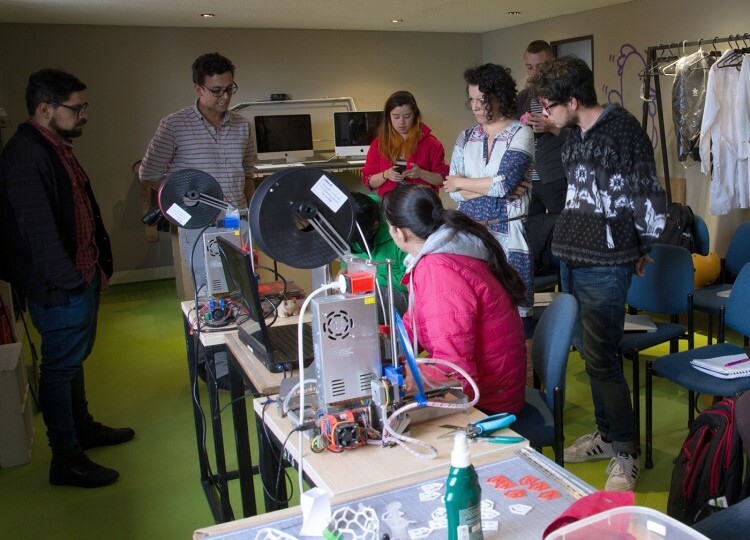 Within the framework of the Laboratory/workshop DAT0 P0R LIEBRE (Data by Hare), the Tadeo Lab platform was opened to participants to offer them a day in their spaces, providing a workshop on the use of its 3D printers. 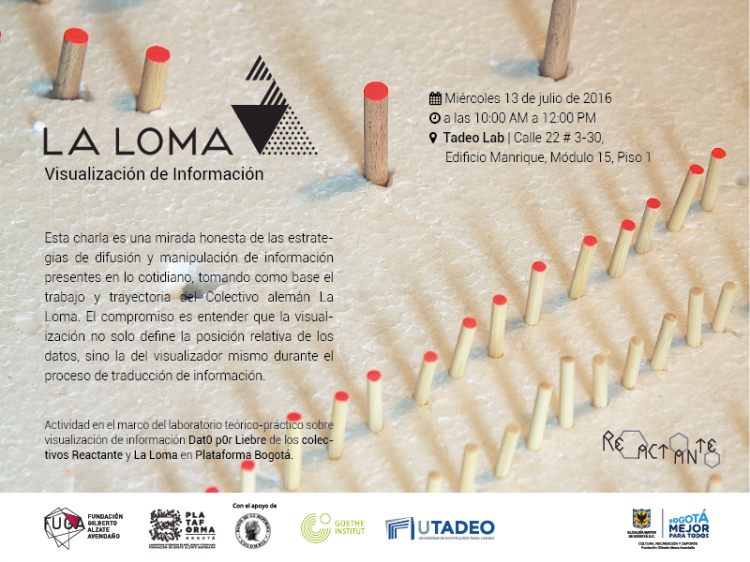 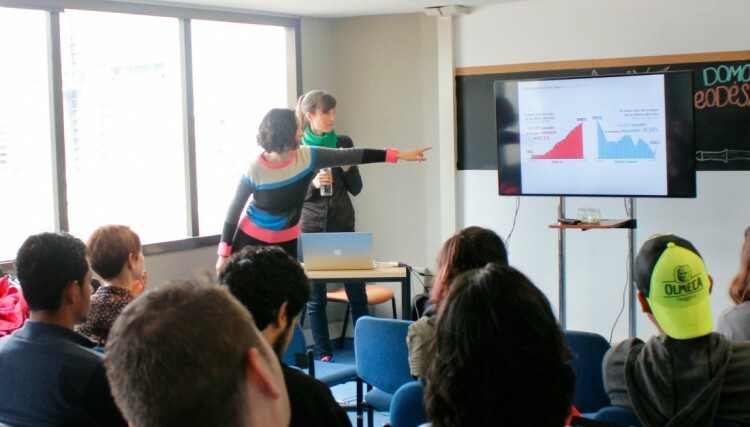 La Loma held a presentation about its experience in the visualisation of information: starting from raw data, through to brainstorming, experimenting with materials and through to the final project. 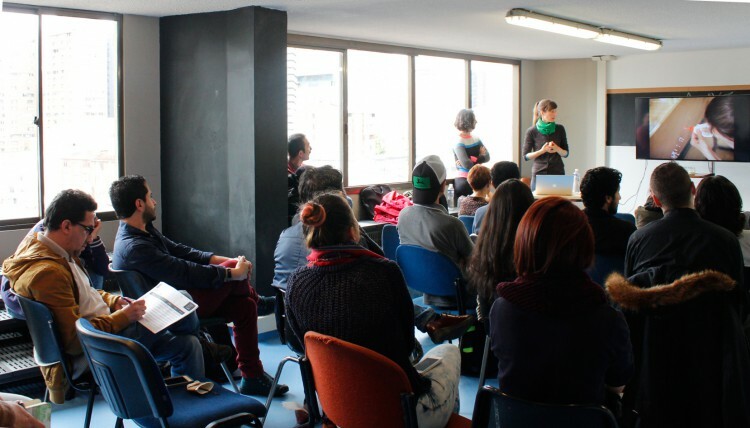 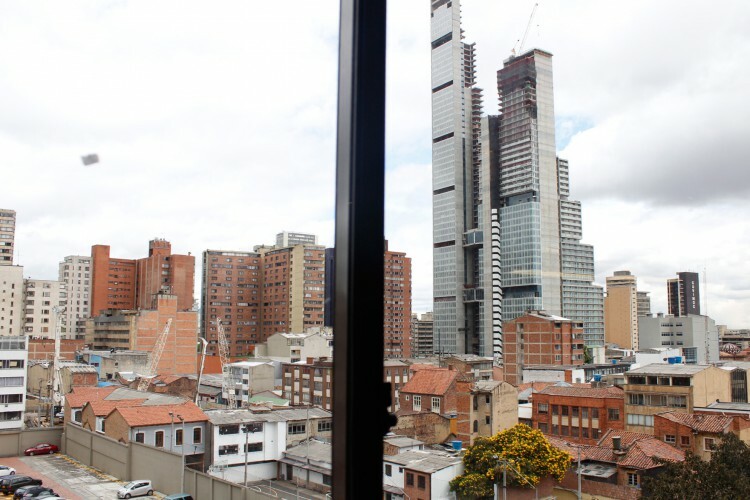 TadeoLAB is a platform of production, research and dissemination of interdisciplinary cultural projects based at University of Bogota Jorge Tadeo Lozano.